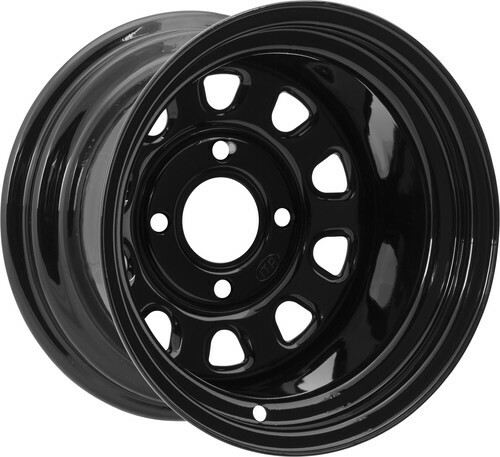 ITP's Black Delta Steel Wheel is a quality product at an affordable price. It offers a cost savings compared to OEM wheels, but sacrifice nothing on strength requirements. It features a light weight "D" design that is 35% stronger than OEM wheels. *ITP Black Delta Steel wheels have center caps only available for a 4/110 bolt pattern. ITP Chrome Delta Center Caps- 4 pk. ITP Black Delta Center Caps - 4 pk.